Did it in a minute! A 32 year old cricket reporter has taken home the largest cash prize ever won on an Australian daytime game show. 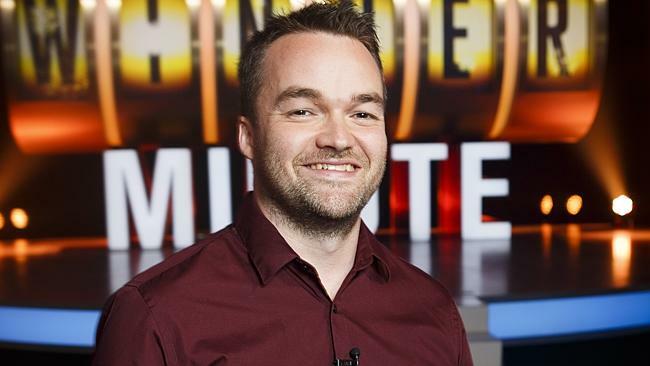 Brydon Coverdale pocketed $307000 when he correctly answered 5 questions in the final round of Channel 7’s Million Dollar Minute this week. You can read the full story, (and try your hand at the 5 questions that scored him the big win) here. Million Dollar Minute is an interesting new quiz format, loosely based on all the interesting old quiz formats. It combines quickest-on-the-buzzer rounds (a la Temptation), visual puzzles (a la Catchphrase) and a final big money solo player question round (a la Who Wants To Be A Millionaire). This entry was posted in Game Show Winners, Updates by Stephen. Bookmark the permalink.